Message In A Bottle Campaign #MIABC. 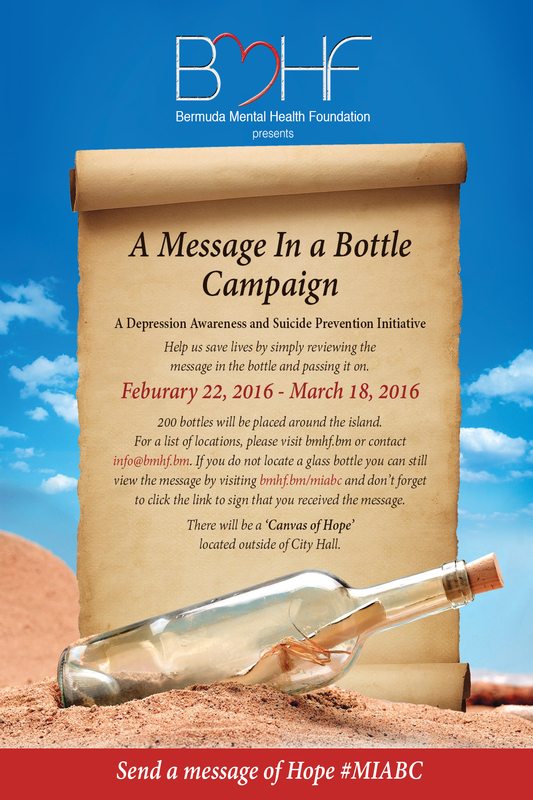 The Message In A Bottle Campaign will address depression awareness and suicide prevention in Bermuda. 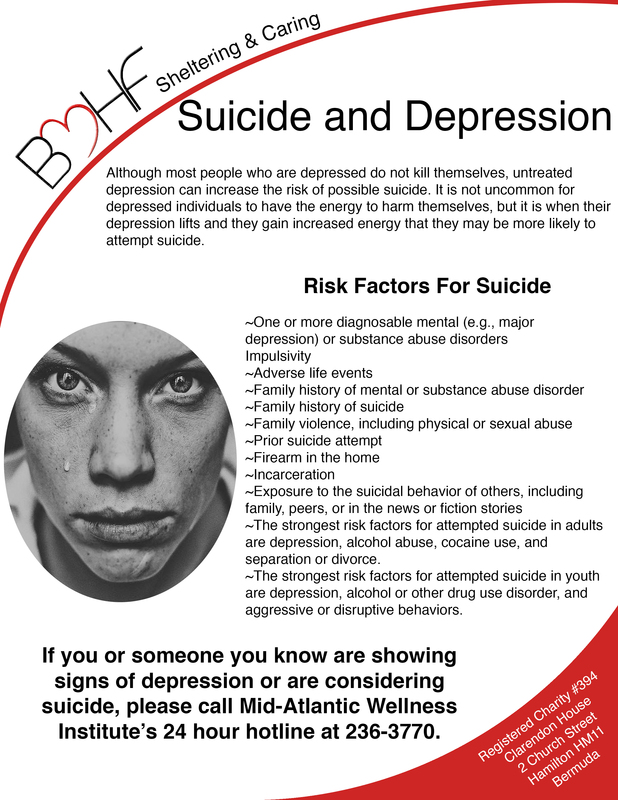 In May 2015 the Weekenders Running Group raised funds and donated $5,000.00 to the Bermuda Mental Health Foundation to raise awareness about suicide and depression. Debbie Pharaoh Williams and Tali Gabai Maiato both lost siblings to suicide and they want to help those within the community. 200 USB drift bottles will be distributed nationally throughout the island in pre-determined locations. 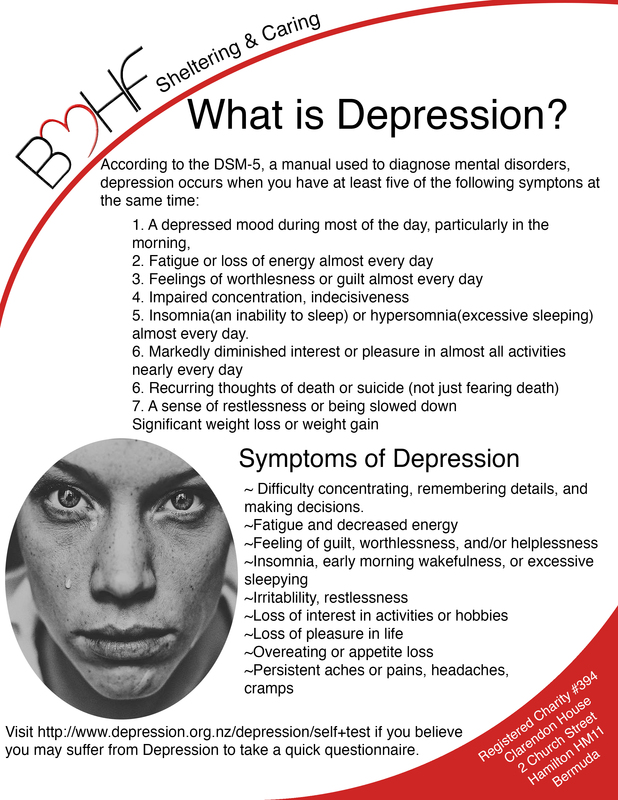 There will a message, video, depression checklist and community resources pre-loaded on the USB sticks. There will also be a link that will take community members to a website where they can sign that they received the message so the Foundation can determine how many people were impacted by the campaign. The Foundation will also install an 8×12 feet canvas that will be placed outside of City Hall for 2 weeks. 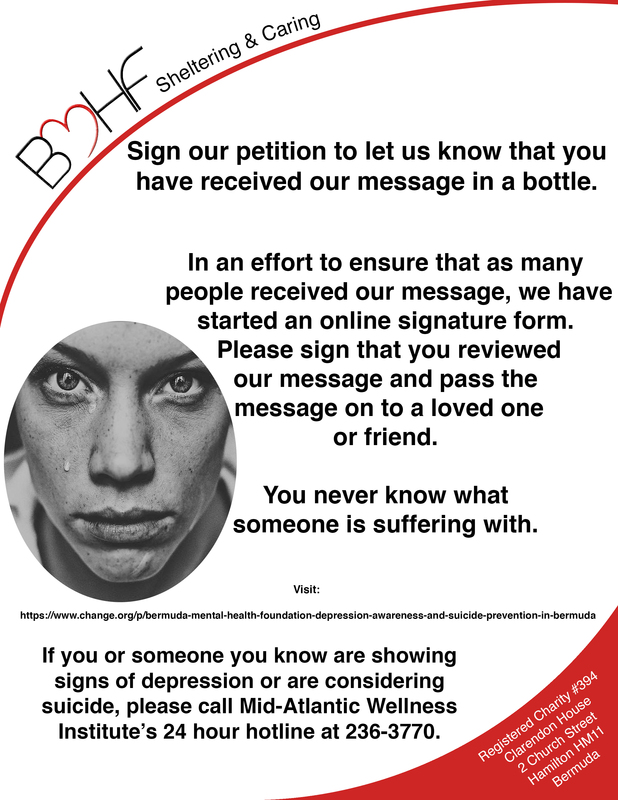 Members of the community will be encouraged to write words of encouragement to those who suffer with depression or any other forms of mental illness in silence. If you are unable to locate your drift bottle please see contents below and don’t forget to sign that you received the message in the bottle by clicking HERE. Pass the message on.